During the mid to late sixties, and throughout the seventies the "Folk Revival" was experiencing its most fruitful and expansive stage. But what made this period so unique was that, alongside of the revivalist singers, there still existed a health reservoir of original traditional singers, ready and willing to actively engage in folk process -–indeed, many of the champions of the revival had actually learnt much of their material directly from some of these singers. Folksong clubs and small festivals were flourishing throughout the length and breadth of the country and many provided a stage to both revivalist and the traditional performers alike. It is within this period and atmosphere that the roots of The Wilson Family, as a performing group, were originally sown. Towards the end of the sixties Tom had "emigrated from his Teesside home to experience the bright lights and music scene of London. Although mainly into soul and rock music, it was a chance to visit to Hammersmith folk Club that first got him involved with folk. Also by pure chance back home in Teesside Chris and Steve had stumbled across The Black Horse Folk Club in Billingham, and had started to perform a few songs as a floor singing duo. Whilst Pat had already had a casual interest in folk clubs, she had by now married and was busy having a family – Ken and Mike were still at school at this stage and had other things on their minds! Tom, Chris and Steve singing in the Colly. So it was that on his return from London in 1973 Tom, Chris and Steve started to sing together in three part harmony (occasionally joined by Tom's first wife Nina to add a female dimension). From the beginning it was evident that their style of singing was most suited to powerful traditional songs and songs of social comment written in the traditional idiom (see influences). 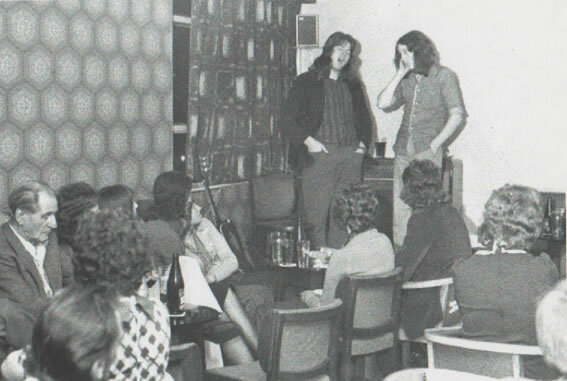 They quickly became established as respected floor singers and visited most of the extensive number of north east folk clubs on a regular basis. 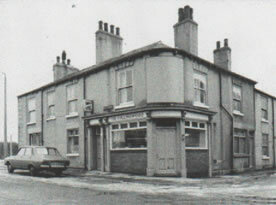 By the middle of the seventies they had started their own informal singers club at the Smiths Arms just up the road from where they lived, at Billingham and only a few yards across the village green from the previously mentioned Black Horse, before moving to the Collingwood in Thornaby, which became their legendary singing "home" for the next seventeen-year. With much the same intention- to provide a platform for non-guest singers- they also started the weeklong singing marathons in the Cutty Sark at Whitby Folk Festival, which also lasted for many years. 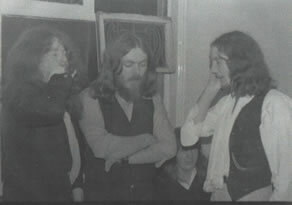 Still singing as a ¾ part, it was in Whitby in 1977, that Mal Storey approached them with the proposition of doing their first, paid booking at the Folk Union One in Hull – home to the wonderful Watersons, and this probably remains to this day, their most stressful gig. It was also this booking which required them to come up with the name for the group, so being a family with the surname of Wilson – The Wilson Family- seemed the obvious choice! By this time both Ken and Mike were approaching an age where they could get into pubs (if note entirely legally! ), and were beginning to show an interest in what their older siblings were into. Pat also now had a bit more time on here hands and was starting to rekindle her interest in folk music from ten years previously.